Roy Tattersall, the former England and Lancashire offspinner, has died at the age of 89. In a 16-match Test career he claimed 58 wickets at 26.08 to supplement an outstanding first-class career of 1369 wickets at 18.03. 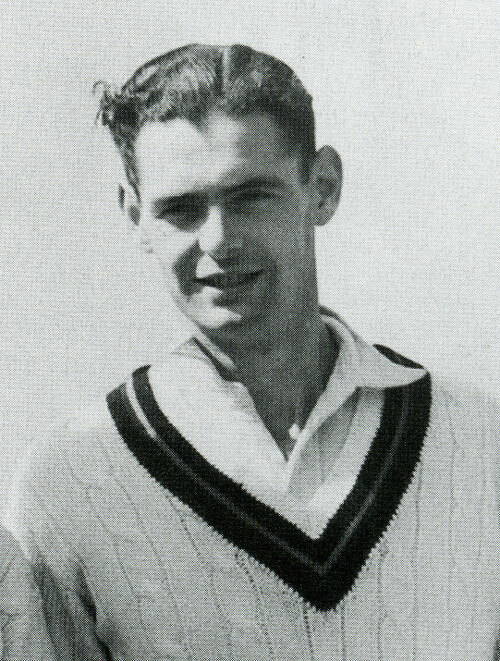 Tattersall played for Lancashire from 1948-1964 and made his England debut against Australia, at Adelaide, in 1951 having been called into the touring squad as a replacement. During the preceding 1950 English season, when Lancashire shared the County Championship title, he'd claimed 193 first-class wickets at 13.59. It was the first season he had bowled offspin having started life as a seamer. That year he was the inaugural recipient of the Cricket Writers' Club Young Cricketer of the Year award. His best Test figures of 7 for 52 came against South Africa, at Lord's, in 1951 where he claimed 12 in the match and he also enjoyed success on the following tour of India. However, he only played two further Tests after the India trip as Jim Laker became England's first-choice offspinner. Tattersall had recently contributed a foreword to the book about Lancashire's 2011 Championship success, Champions...about bloomin' time. In the penultimate game of the season Simon Kerrigan, the left-arm spinner, claimed 9 for 51 against Hampshire which were the county's best figures since Tattersall's career-high of 9 for 40 against Nottinghamshire in 1953. "Although I can't get to the games now, I still watch them closely on television," Tattersall wrote. "As the final matches were being played at Worcester, Liverpool and Taunton I was struck by the similarities between the current Lancashire team and the 1950 side which shared the title with Surrey."